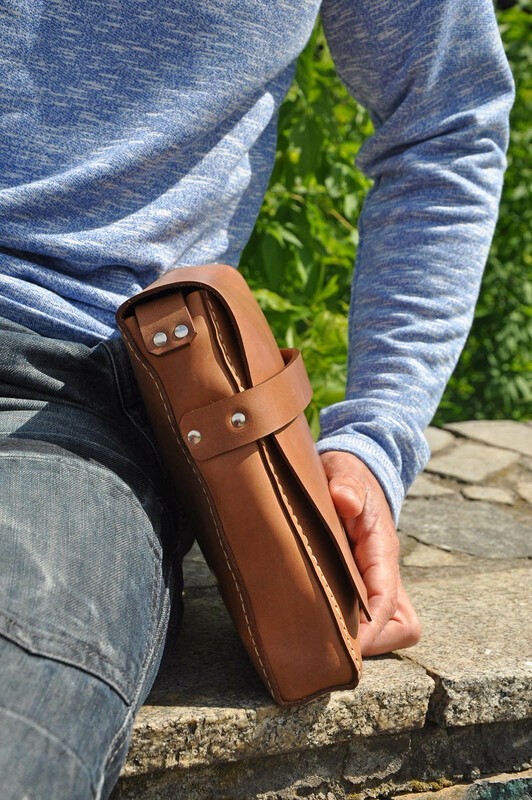 Original leather model like mail bag. Will be perfect for daily wearing, because has universal design. You can put into it little things like passport, phone, keys and others. This model has caramel color, but we can make it from whiskey or red leather. Bag is made from natural high quality leather. SALE!!! -50% OFF!160€ = 80€! Big version of Frodo baggins bag. This bag will be cool accessory for your medieval costume. Advantages of bag: perfect for iPad PRO 9.7’ linen is made from natural pigskin inner side is glued by italian glue covered with wax This bag is сompletely hanmade. 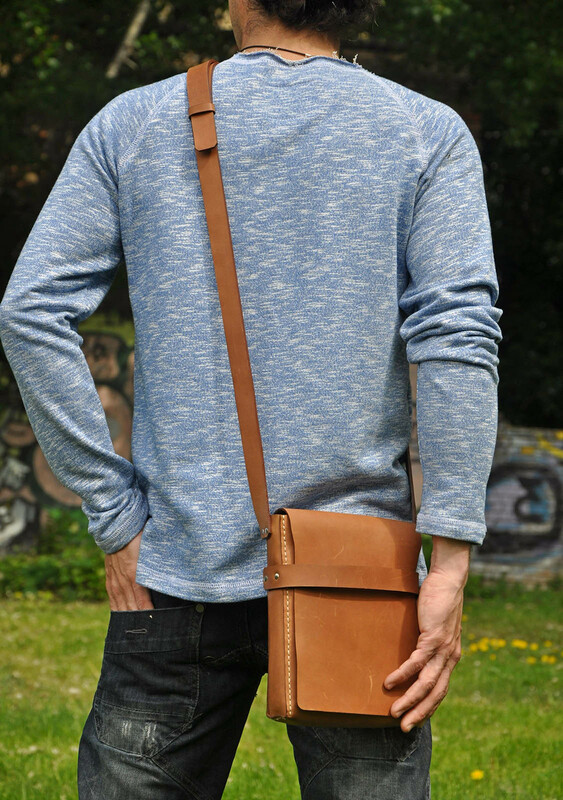 Bag and belt are made from natural leather “Crazy Horse”. This model is whiskey color. But by your wish we can make it from caramel or red leather. Size: 28 х 20 cm .. SALE!!! -50% OFF!36€ = 18€! Comfortable and compact purse for real minimalism сonnoisseurs. Two pockets for cards or paper money. Descriptions of the purse: Covered with wax All edges are painted and ground Ornamental constructive strip All edges are painted and ground Available in three colors: whiskey, caramel, red.Hand made from 100% natural leather.Sizes: 12.5 х 10 cm .. SALE!!! -50% OFF!180€ = 90€! Bag for real man. Exclusive design by Steel Mastery. Model specifications: three comfortable pockets covered with wax edges are processed and painted universal belt Bandolier is made from natural high quality leather. You could wear this bag both on the waist and chest. Size: 38 х 16 сmPocket sizes: left and right pockets - 9,5 сm central pocket - 18 cm ..